Why everybody is super excited for Summer? Well, not just because of Beaches, or mountaineering activities but simply because everybody is so longing for a relaxing moment with their families and friends after a very long time of work and school. Do you think traveling is the best way to do it? Trust me, it's not and it just add hassle and stress to you and to your company. So what do you think we can do during Summer? How about a Fish Spa treatment? Offers 60-minute VIP fish spa in your own personalized aquarium, providing you comfort and privacy in a VIP relaxation area. Experience foot care with a refreshing warm water foot bath plus 30 minutes of 30-minute therapeutic foot reflexology using our organic blended oil. And finally we will serve you our healthy and refreshing malunggay tea. Offers 30-minute classic fish spa, followed by a 30-minute relaxing massage in the back, shoulders and head. 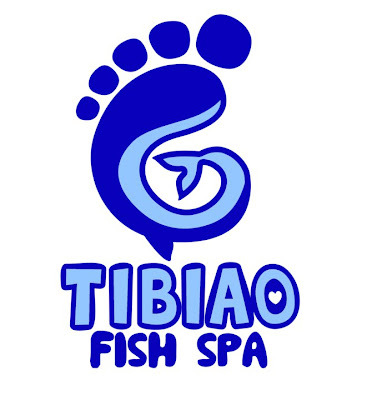 Offers 30-minute classic fish spa, followed by a 30-minute therapeutic foot reflexology. The service begins with washing your feet before the 30-minute ticklish exfoliation of dry skin cells removed by our therafish. This is followed with a 30-minute therapeutic foot reflexology. Finally we apply our moisturizing and invigorating foot gel. Offers 30-minute classic fish spa with a choice of small, medium or large therafish. 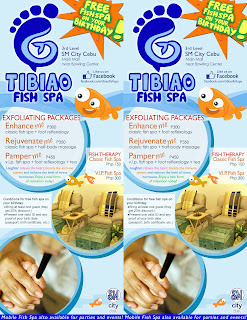 We recommend the small fish for the gentle exfoliation of dry skin cells revealing a radiant layer of skin. The large fish are best for the ultimate exfoliation of your dry and damaged skin cells, removing the dead skin that will ultimately stimulate skin regeneration and circulation. The service begins with washing your feet before the 30 minute therapeutic gentle exfoliation of dry skin cells removed by our therafish. Finally we apply alcohol and clean dry towel. i would like to try this..is this the same as the one in parkmall? i saw a similar service (fish, dip feet in tanks) and the likes..